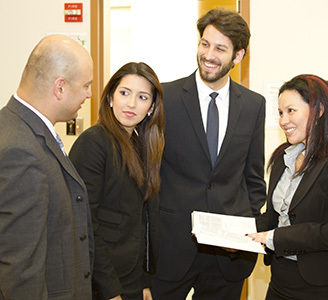 Many employers sponsor matching gift programs and will match contributions made to the Krannert School of Management made by their employees. With matching gifts you can double or even triple the impact of your donation. Some companies also match gifts made by retirees and/or spouses. When making your gift to Krannert School of Management, check first to see if your employer has a corporate matching gift program. You may be able to give even more than you had originally thought possible to help Purdue’s management students! Please visit the The Matching Gifts page to establish a corporate matching gift. There are opportunities to utilize a matching gift fund program to significantly increase the impact of your gift. We encourage you to contact the Krannert Development Office to discover if your potential gift can be matched to double the impact of your support.